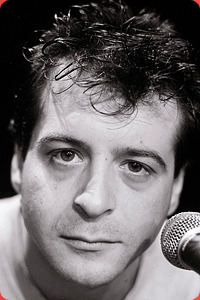 Mixing campaigning with comedy gave Mark Thomas a distinctive edge even among all of the political comedy that sprang from the Eighties alternative comedy scene. His Channel 4 show The Mark Thomas Comedy Product ran for six years and enabled him to be taken seriously and laughed at in equal measure. Thomas continues to front campaigning shows like Despatches and tours – and protests - as voraciously as ever.